Legend alert!!! 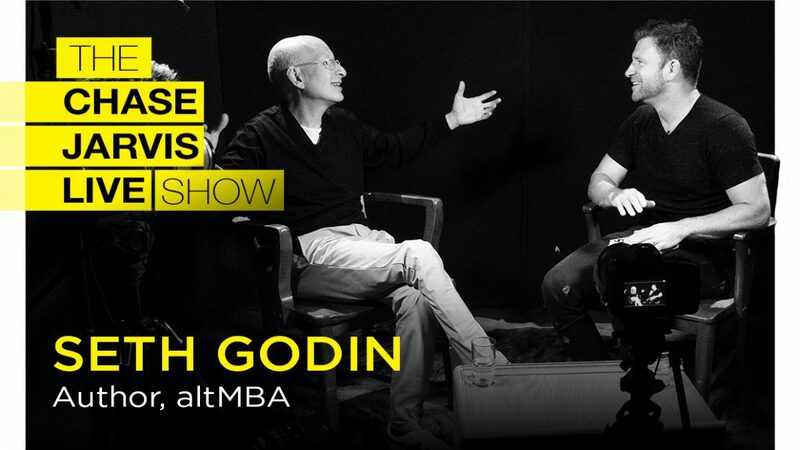 Seth Godin is a force of nature and a shaman to so many creatives and entrepreneurs. 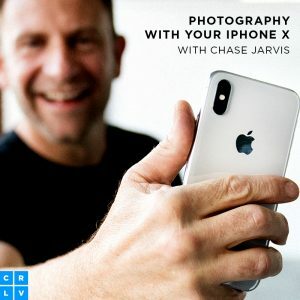 He has taught and inspired millions of entrepreneurs, marketers, leaders, and fans from all walks of life, via his blog, online courses, lectures, and his 18 (yes, count them – 18!) bestselling books. If you’ve been following his work, you’ll know he’s one most brilliant marketing minds of our time. Seth Godin’s latest book, This Is Marketing, helps reframe how thinking small is the new big! More precisely how we will find success if we at first make our products – whatever they are — for the smallest viable audience. Seth believes your most generous and insightful work needs this help – YOUR HELP – finding the people it’s meant to serve…. 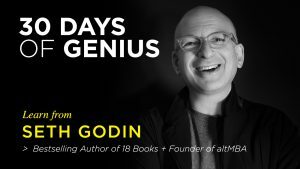 If there has been a guest that can speak directly to that little voice in your head – and help you get this marketing stuff RIGHT – it’s Seth. Pure sage. And purely actionable. The riskiest thing you can do it make average stuff for average people and pitch it to the masses. Instead, focus on the smallest viable audience (e.g. your patrons at table 4 of your restaurant) and bring magic to them, they will come back and they will bring their friends. If you try to please everyone, you’ll stop pleasing the people you care about. Seth shares some strategies on how to focus on the people that care about your work and better serve them. We all want to do work that matters for people who care. But we trip ourselves up thinking we need to become an evil marketer and spam the world. Fortunately, the best way to achieve your marketing goals is to help others become who they want to be.